Home » Blog » Facebook Video Viewing Up ! 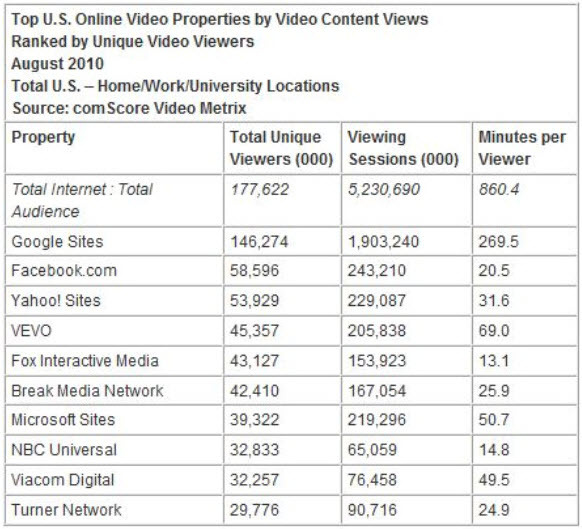 Facebook Video Viewing Up ! Are you uploading your videos to Facebook yet? Many of our clients have Youtube Channels and show off either their commercial or some off the cuff videos taken on site offering brief clips of education in their field. Youtube has really become more of a search engine for the “how to” seeker in my opinion and the traffic is still far and above other video sites. Facebook has a videos tab for personal and business pages too! They are far away for creeping up on Youtube although in video views for August they have passed Yahoo and VEVO…. into 2nd place ! Get those videos of your syndicated over to your Facebook account sooner than later.